Do you teach blends? 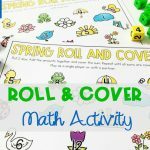 Do you teach it in a fun way? 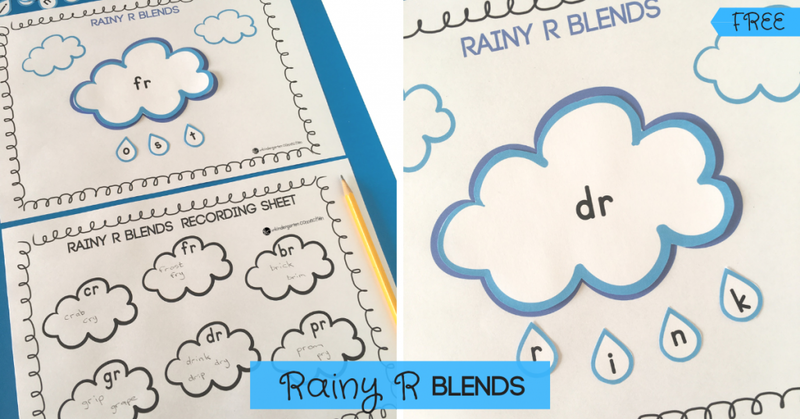 Use this Rainy “R” Consonant Blends activity to make learning of blends fun and interactive! Blends are consonant sounds, usually 2 or 3, that are verbalized together to easily roll off the tongue. You can still hear each individual sound, not like a digraph where a new sound is produced. “R blends” simply refer to blends that have an “r” after a consonant. 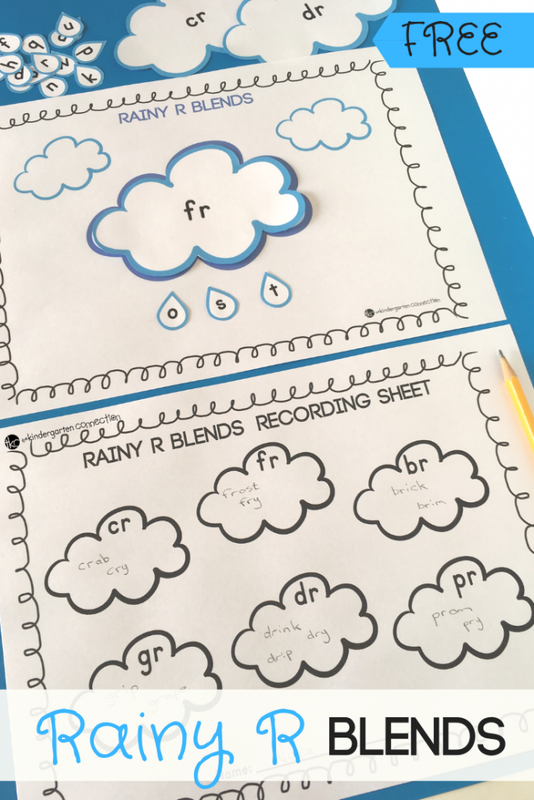 There are 6 common ones: “cr”, “fr”, “br”, “gr”, “dr”, “pr.” You will find them as “clouds” on the printable sheets and on the recording sheet together with raindrop letters. 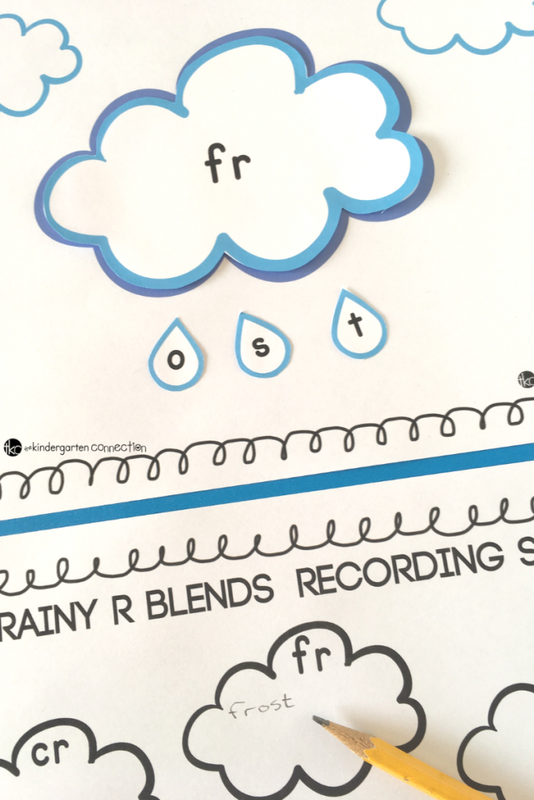 Print and laminate the sheets, then cut the clouds and raindrop letters. 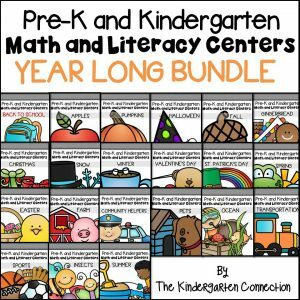 This blends activity can either be independent or guided. 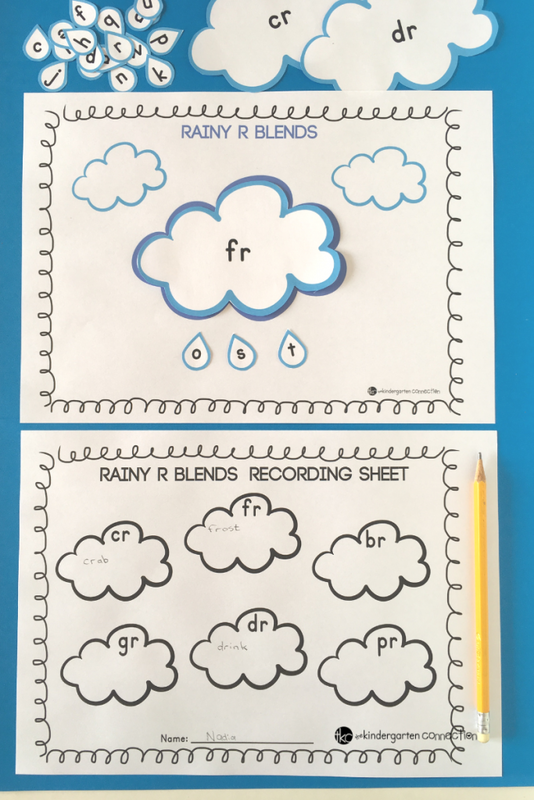 Students discover the “r” blends using the clouds and raindrop letters to fill in the recording sheet with words that makes sense. See how many you can find! 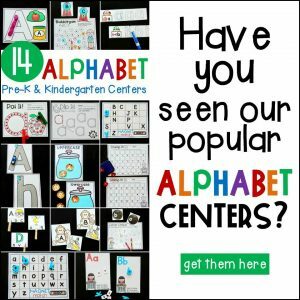 This is recommended for students that need a challenge and are familiar with basic word building (knows how to use vowels and consonants). 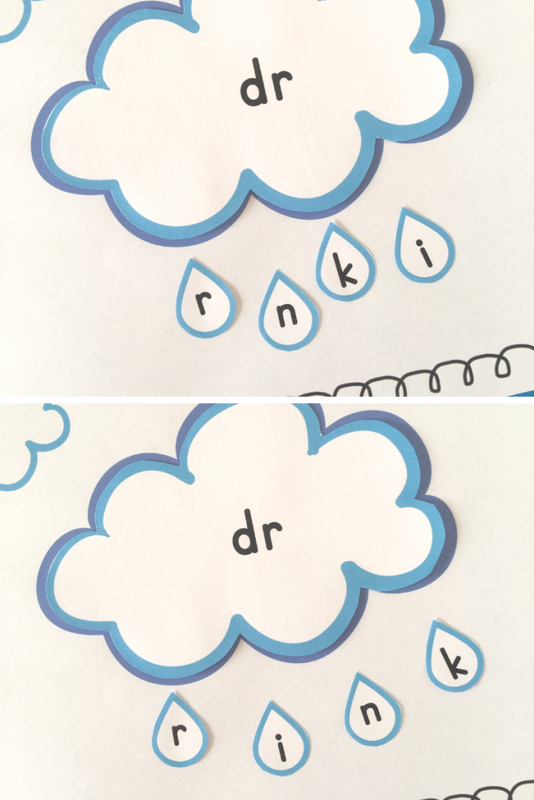 Students will scramble a few raindrop letters and ask the student to unscramble it to find the word working with the blend in the cloud. (You will need to have a few words up your sleeve in preparation for this activity). 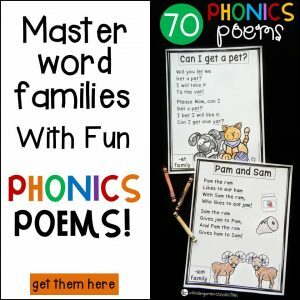 Phoneme manipulation (the ability to swap out sounds in a word) can also be addressed here. For example, if the blend in the cloud is “dr” (drink) and we swap the cloud to “br,” what would the word be now? Brink. Also work on nonsense vs real words: “brink” makes sense but “frink” is a nonsense word. Readers need to distinguish between words that makes sense and no sense to read accurately. 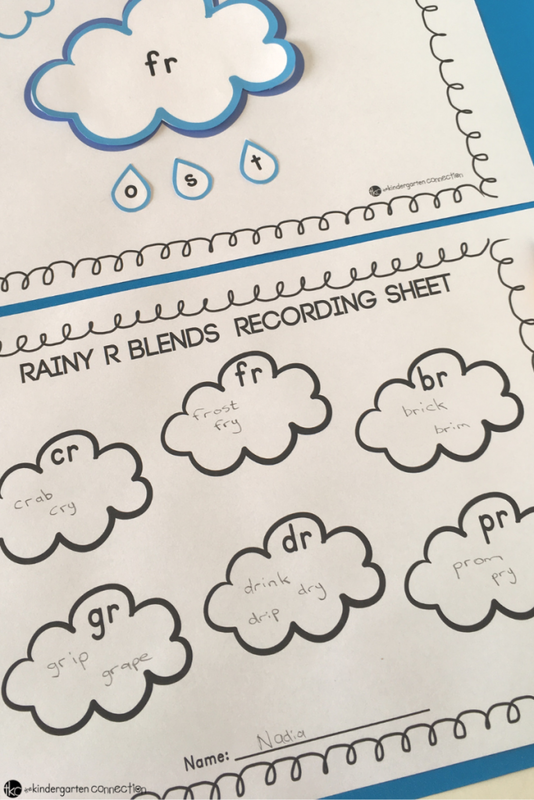 Use the recording sheet as a visual “mind map” for all “r” blend words. Fill in more as you come across any during the day. An excellent way to extend vocabulary as well. For example: do your students know what “pry” means? Are you ready to have fun learning R blends on a rainy day? 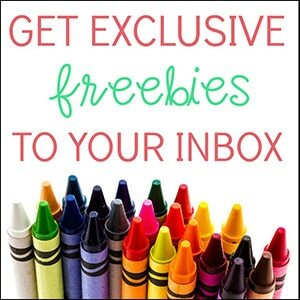 Then click on the large, yellow button below! 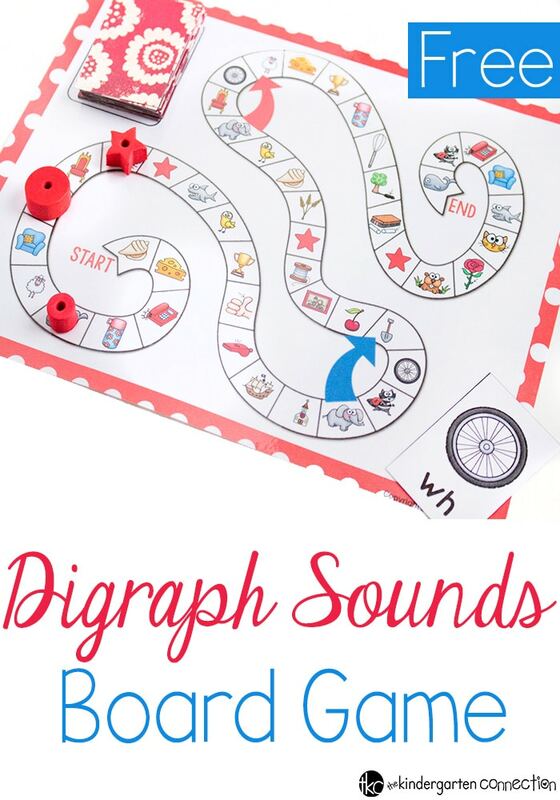 Then, hop on over to see our Digraph Board Game for more word work!